The Gun That Won The West? The gun that really went nowhere. Regardless, was VERY cool! 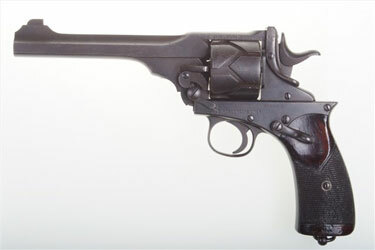 Scarce Webley Fosbery M1901, with matching cylinder and low serial number, that is regimentally marked. SN: 486 Cal .455. Standard military configuration M1901 with 6” barrel having fixed front and rear sight. Top of rib marked “P.WEBLEY & SON. LONDON & BIRMINGHAM”. Left side of frame marked with the Webley logo followed by the caliber “455 CORDITE ONLY.” Above the caliber is the owner/regimental inscription “H.T. MUNN 38th L.V.” Each of the chambers and the right side of the frame is proofed, the serial number appearing on the right side of the frame. Original, checkered wood grips with the left panel having the brass plate “safe” under the safety. Lanyard ring present. Condition: VG-Excellent. Matte blue with oxidative changes on the left side of barrel, cylinder, and release lever suggesting storage on a moist surface. Excellent, near mirror bore with sharp rifling. Perfect manual mechanics. A highly desireable Webley Fosbery with a military provenance that deserves further research. 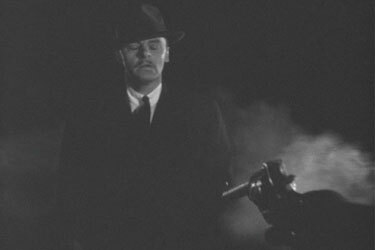 The same model automatic revolver used by that naughty Brigid O’Shaughnessy (Mary Astor) to shoot Sam Spade’s partner Miles Archer (Jerome Cowan) at Burrit Alley, just off Bush Street above the Stockton Tunnel, in “The Maltese Falcon” (1941). Matte blue with oxidative changes on the left side of barrel, cylinder, and release lever suggesting storage on a moist surface. Someone took a creative writing class. “Oxidative changes” from moisture on steel – AKA – rust. Cool gun to look at the history but if I spend 12k+ on something, it probably isn’t going to be any kind of firearm. I’d sooner have a Mateba Auto Revolver…..